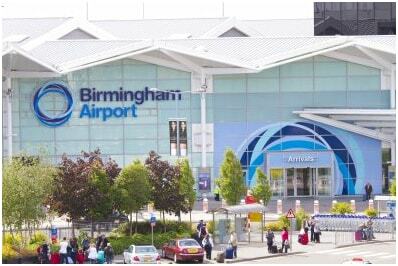 Birmingham Airport Ordering Baby Milk: Birmingham Airport is much concerned about passengers travelling with babies and care that they are comfortable during the journey. They allow them to carry baby milk and baby food in hand luggage through Security. You just need to inform the security officer that you are carrying this. Here we will discuss on how to order Boots Birmingham airport baby food when you travelling with babies. You even don’t need to carry baby milk and other essentials for baby with you through security. Birmingham airport offers a comprehensive baby food ordering service through its departure lounge shop Boots which is located at departure lounge after security check-in. It can be pre-ordered online and the things will be available ready for collection there on time. Remember you must pre-order for the things at least 5 days in advance. Add supplies you need to the shopping basket. You can add milk, food, nappies and more excluding any sharp objects. If you are travelling to the USA, you can’t carry any powdered milks due to TSA restrictions and so won’t be able to order it. Once all the essentials are added to the basket, select ‘Checkout’. While checking out, you will be asked to search a store. Enter ‘Birmingham Airport’ in the town name field. This will display the store listed as ‘Birmingham Airport Airside 195-198 Departure Lounge’. Select it. Provide other required details. Make payment for your order. You can pay through credit/debit card or PayPal. Your order will be delivered to the Birmingham airport store within 5 days. There are no delivery charges. You will receive a text message on your mobile when your order is delivered. The airport store holds your orders for 14 days from the delivery date. And you can collect your order when you travel through the airport. If you have any query regarding ordering baby milk and other essentials, you can call bots.com at 0345 070 8090. Are you travelling with a baby through Birmingham Airport and worried about baby milk and essentials? 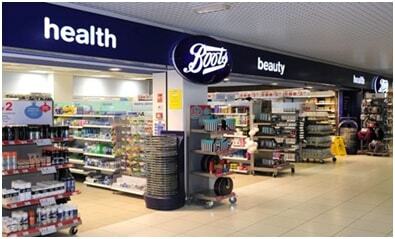 Don’t worry, you can order all the baby essentials online and collect at the Boots at the airport departure lounge.